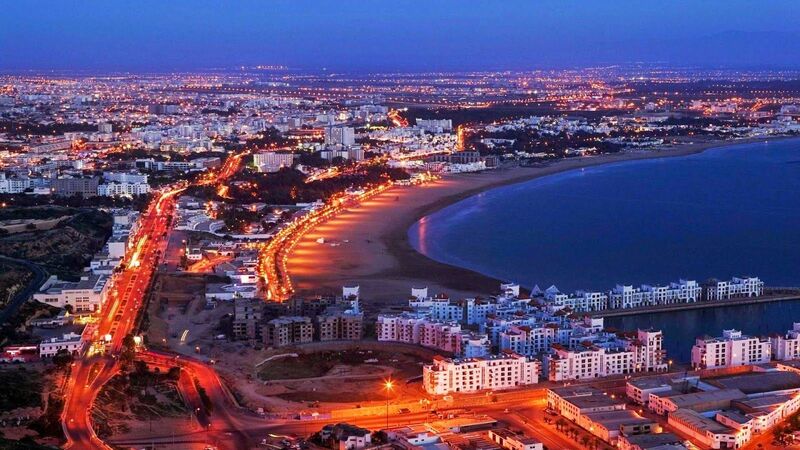 Agadir Located in the southwest of Morocco, the city is bordered by the ocean Atlantique.la capital of southern Morocco, is a great city, famous for its beautiful golden beach and mild climate all year round . Discovery Agadir: Morning: 10 am to 13 am Or afternoon: 3 am to 6 am. Be enchanted by the white city in beachfront, the most popular resort in Morocco. - The Port: Walk through the bustling harbor where local fishermen sell their catch. two fishing ports, a large commercial port and the recent marina. - The kasbah north of Agadir. This citadel, situated on the hill overlooking the bay of Agadir, was built in 1540. The walls were restored after the earthquake of 1960. It is the ideal place to watch the sunset over the sea. From here you can enjoy a breathtaking and spectacular harbor views. 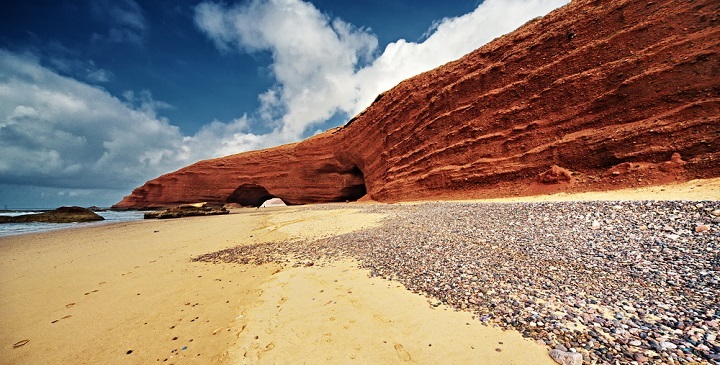 - Visit the old quarters (Talborjt) and two large mosques in the city of Agadir (visit & Photos from the outside). - Souss kasbat: a small bazaar with traditional crafts, but also with a young designer who decided to collect used tires and making furniture, tables, sofa garden, fireside, in a style that remains Morocco, it seems wood so it works the material and it can be adapted in color according to the desires of its customers. - Souk El Had of Agadir is the heart of the medina, rebuilt after the earthquake of 1960. In the souk, a large number of traders come together to offer customers a multitude of diverse and varied services, of computers or clothing or cosmetics andVegetables ,fruits .also Many textbooks and traditional crafts present the most beautiful pieces of Moroccan craftsmanship in a single place. - The Cooperative Argan: it promotes equitable social progress and sustainable economic development of many women from surrounding towns hold the secrets to extract argan oil coveted by its benefits. Elles, who master the art of making culinary and cosmetic oils will have a new source of sustainable income through this project.